Aero Tech Designs Full Figure Hourglass Cycling Jersey Perfect for Plus-size Women! Pedal through the sands of time with this stunning Full Figure Hourglass cycling jersey! 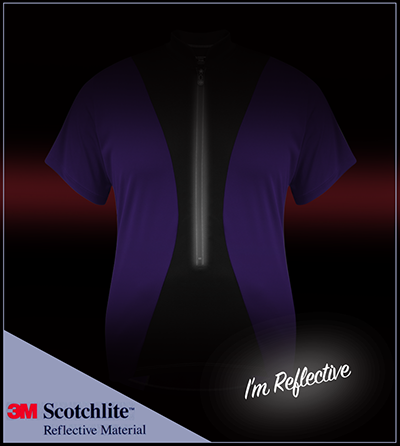 This full figure jersey offers complete freedom of movement, thanks to our performance-enhanced materials. Made with a breathable, performance fabric, this jersey will quickly evaporate moisture to leave you dry and comfortable during the ride. The fabric also offers 4-Way stretch to move with your body through the cycling motion, almost like a second skin. The slenderizing design lines help show off your feminine curves while giving the illusion of a slimmer waist, just like the hourglass figure. Both the front and the back of the jersey display the hourglass shape for all cyclists to see as you pass them by. You're sure to turn heads in this lovely jersey, especially if you're wearing the matching cycling shorts, the Hourglass Bike Shorts. The jersey offers our full figure cyclists a bottom hem that fits loosely across the hips. A 14-inch zipper offers added ventilation and a wide neckline for dressing convenience. No need to worry about hassling with a full-length zipper! You can zip up with one hand and hit the road in no time at all! On the back of the jersey are two spacious pockets that are easy to reach and will stretch to fit a water bottle, while keeping your gels, bars, and other items secure. 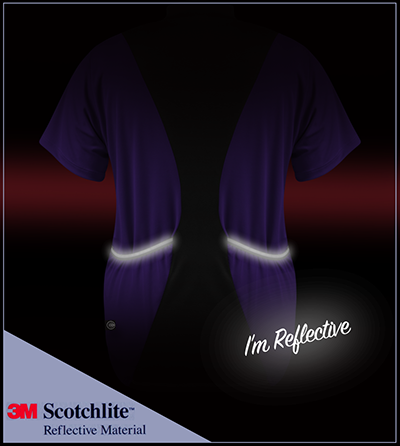 A 3M reflective strip bordering the front zipper and two strips across the pockets add biker visibility and safety for low-light rides. Be a time traveler! Ride longer. Feel stronger. THE PERFECT CYCLING KIT FOR PLUS WOMEN! Women's Full Figure Hourglass Cycling Jersey Made in USA! Love this jersey! It's not easy finding a jersey for my size. This jersey, fits well, is comfortable and flattering. I would have ordered another color but there was only one color in stock. I'll look for it next year. Finding a cycle jersey for a plus size that doesn't make you look like a sausage in a skin is very hard. But this jersey is fantastic I love it and will definitely buying more. I just received this in the mail yesterday and wore it for my evening ride last night. I was skeptical that a cycling jersey could fit all 5 foot 10 inch plus sized me but loved this jersey. The pockets in the back are nice and deep so my cellphone and wallet were secure and it was long enough in front even when I was off the bike.